 Projects ▼ - Ngā Potiki a Tamapahore Trust. Works in partnership with the Ministry of Education, tertiary providers, schools and early learning centers to support whanau in order to produce excellent outcomes for tamariki mokopuna. Celebrates, protects and preserves Ngā Potiki cultural landscapes and seascapes, being integral to Ngā Potiki history and cultural identity and interfaces with local government and private developers with respect to RMA matters. Provides for and oversees the delivery of trade training opportunities into Tauranga moana as part of a consortia with the Bay of Plenty Polytechnic, Pacific Island Community Trust (Tauranga) and local industry. The consortium is funded directly by the Tertiary Education Commission. Is responsible for the planning and implementation of social housing initiatives that provides for quality, warm and dry homes for whanau. At the same time plan for and pursue residential developments on treaty settlement lands.